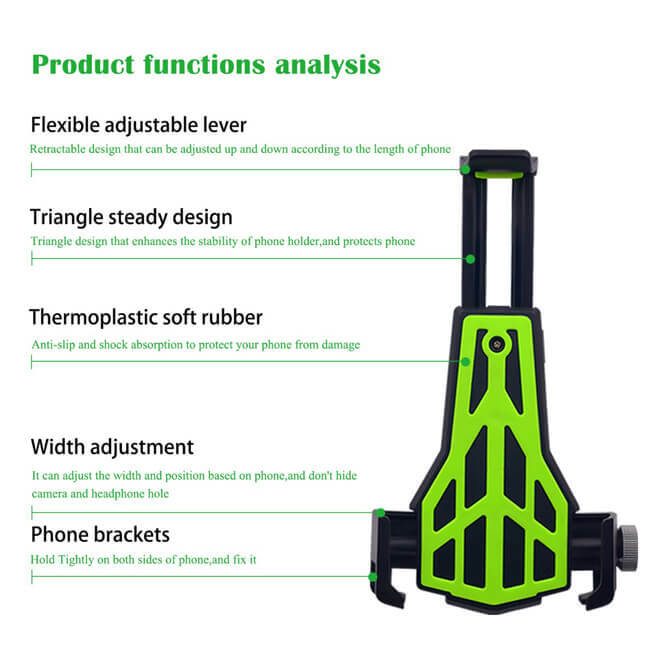 Anti-slip and triangle structure make it stable enough. 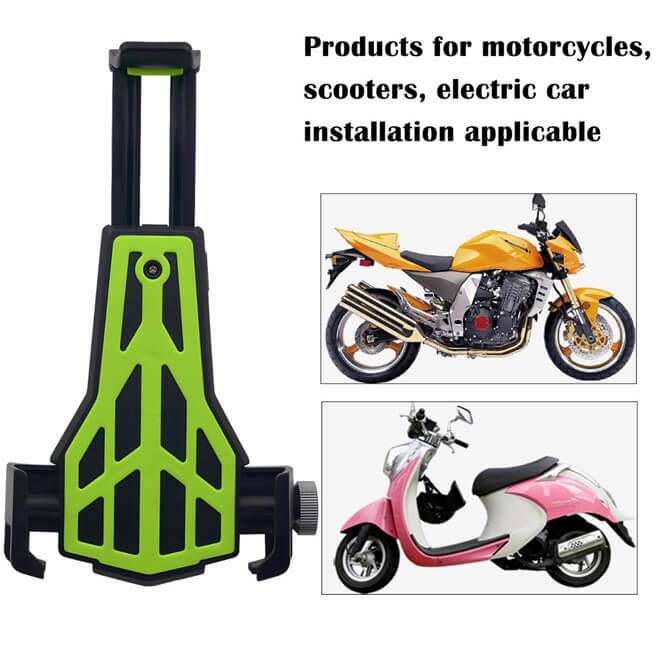 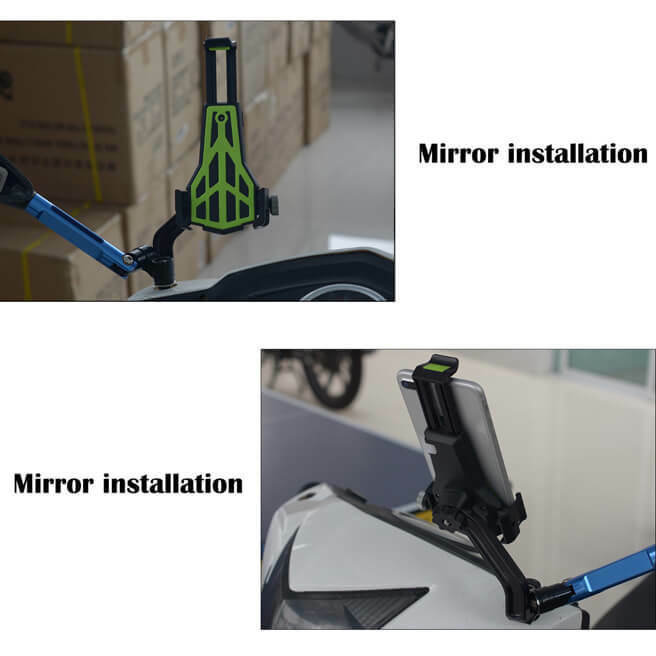 Mounted on the Rear view mirror of your bike. 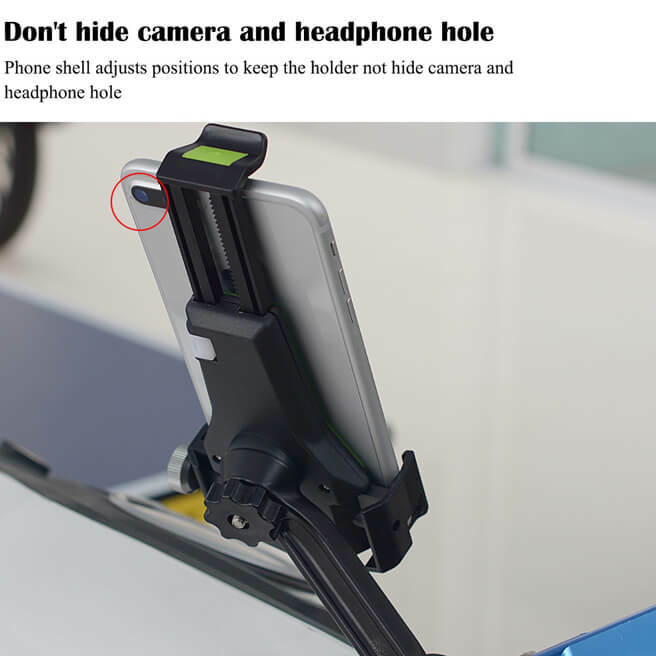 Easy installation and remove. 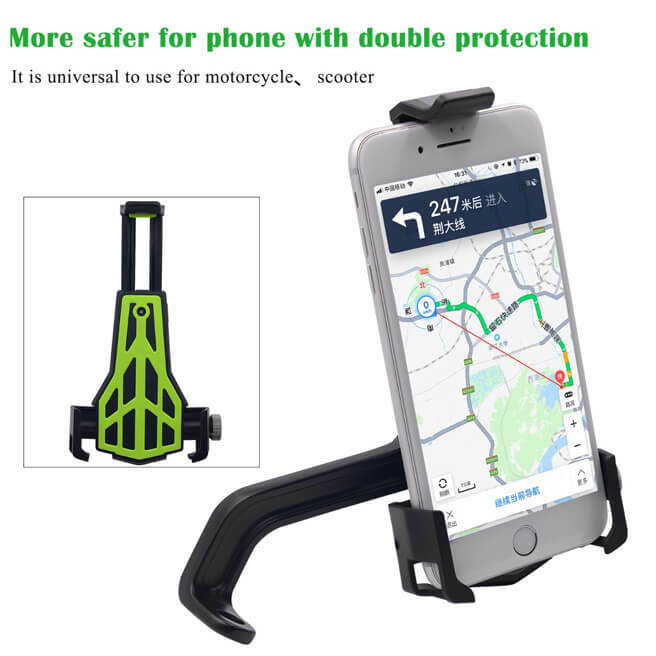 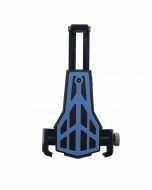 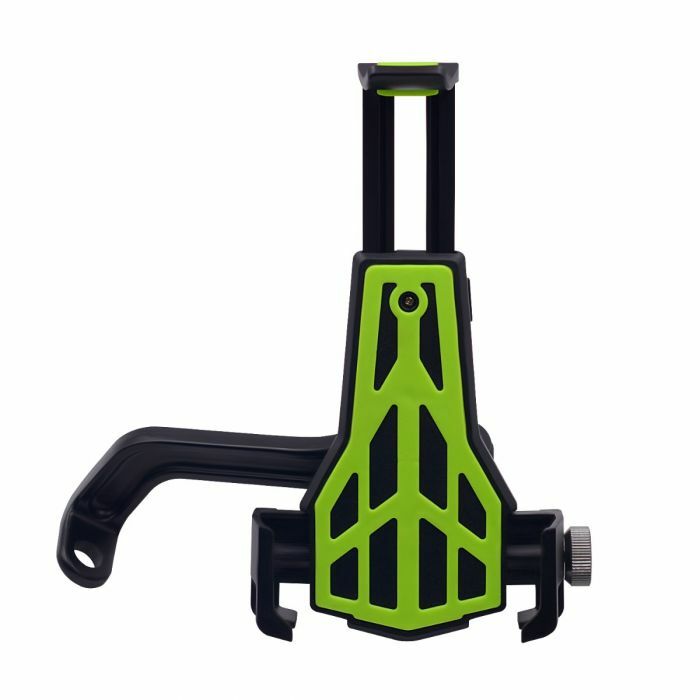 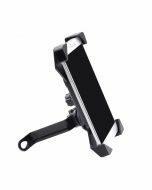 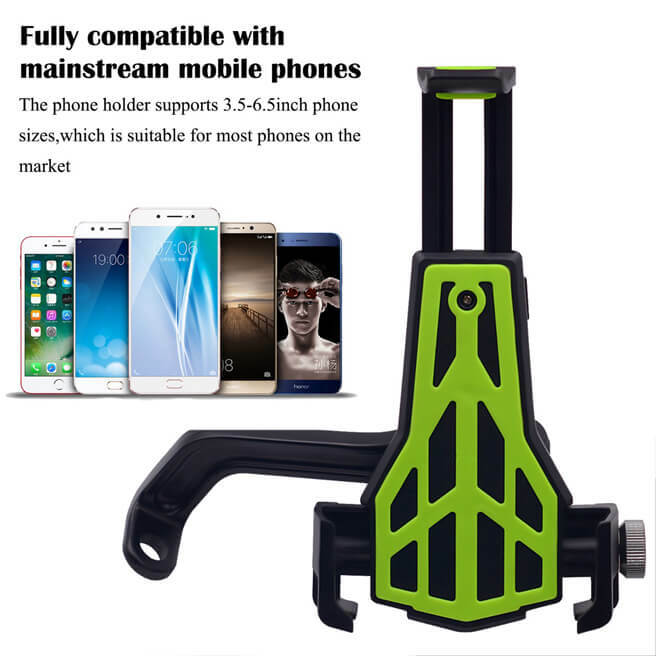 1 This Adjustable Carbon Fiber Phone Holder is fixedly installed, does not occupy the handlebar area, is suitable for 8-12MM aperture, and has very strong versatility. 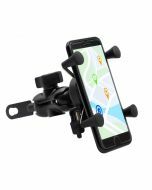 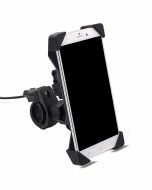 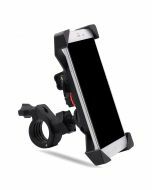 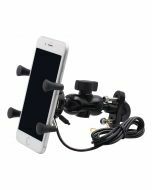 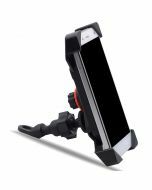 2 This phone mount is suitable for size 3.5-7 inches, suitable for all mobile phones and navigation in this range. 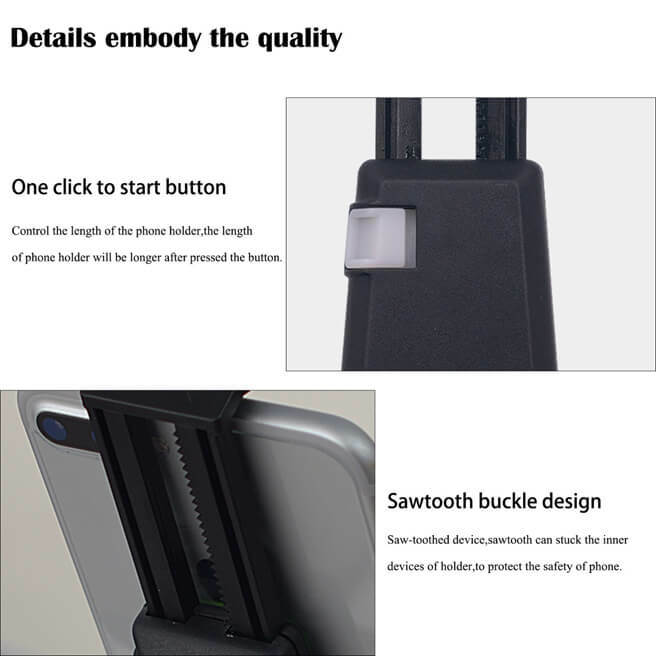 4 Designed to follow the triangular stability principle, it is stronger and more stable, and protects the mobile phone.